I eat out on the weekends at different restaurants and then write about them. Otherwise I am looking at art, cooking or gardening. Soon to be a blogger under food curator__ where you can have a visual feast. 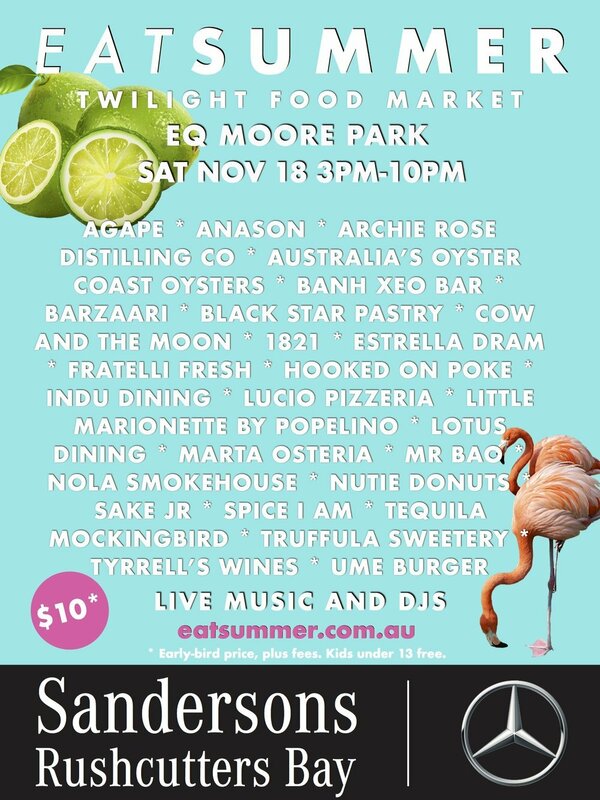 Love summer, love food, love markets, and love them all together? Then you will love the food market, EAT SUMMER 2017, held on November 18 from 3pm-10pm at Moore Park. With night food markets and food trucks popping up everywhere, it comes to no surprise that fine dining and street foods have come together, in one of summer's most anticipated event for foodie lovers. With big names delighting the dining scene such as Anason in Barangaroo, 1821 from Pitt Street, or Mr Bao from York Street, amongst many others heading down to the event, your taste buds will be in for a gluttonous delight. Expect to try different cuisines from Turkish, Greek, Vietnamese, Mexican, Japanese to Creole dishes, in this weekend frenzy of food. Get in early and purchase your tickets to the event.